BLOGGING : Spring Cleaning you can do as a Blogger. It's official, Spring has sprung! 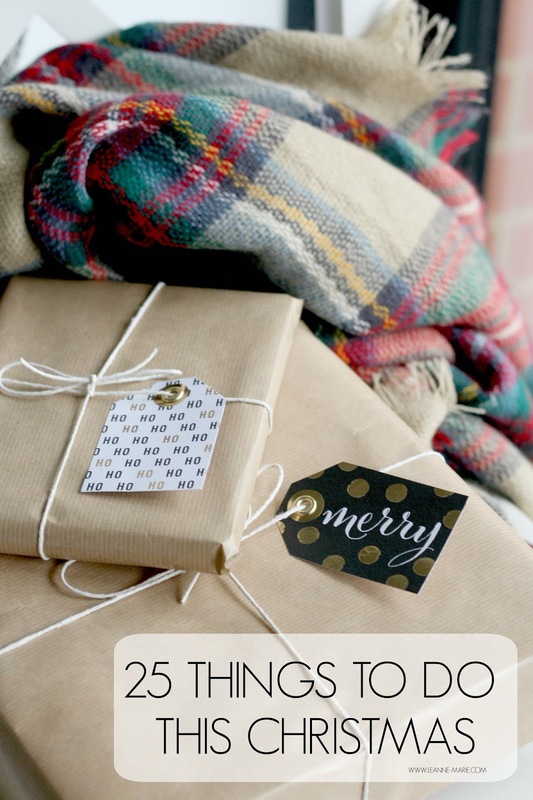 It may be nearly 4 months since you set your new year resolutions but now is the time to finally get organised and do a bit of house keeping when it comes to your blog. Nothing too strenuous, all things you can do as and when you have a few moments spare. Or if you prefer dedicate a whole morning/afternoon to it. You decide! Basically clean up those broken links using this website. Like I said before, this process will catch any dead links you have on your blog. It could be where you've linked to an item that is no longer for sale, a company that no longer exsists. Or more commonly in my case I had a lot of comments left on posts, which included blog lilnks which no longer were active. Clear those bad boys up and improve the SEO of your blog. When Moz do their next update, it may help your score. Update your blog pages, You know those ones at the top where you have your about me, contact, disclaimer etc. Chances are you wrote them when you started but haven't done anything with them since. If you check your stats, the chances are that these pages do still get visited, they may get a lot less views than your blog posts, but they do get looked at, therefore its important that everything is up to date. Add Alt text to your photos. If you are a blogger who does this already, I salute you. If not, well I'm sorry but this may be a bit tedious! If you don't know about adding alt text on photo's take a look at this page The basics of using alt text for SEO - they explain It much better than I ever would. It wont be an instant fix but it will definitely help in the long run. It's quite easy to forget to sort out your social media channels when we are so busy posting to them. Take this time to have a bit of a sort out. The first thing I did on both my Twitter and Instagram accounts was to have a little bit of a following cull. I followed A LOT of accounts on twitter due to entering competitions. I unfollowed a lot of those that I was no longer interested in, which dramamtically reduced the numbers. I did the same with Instagram, with the new algorithm coming into play soon, I wanted to ensure that I followed accounts on Instagram that I was genuinely interested in, those who's photos I 'liked' on a regular basis. A ruthless tactic but it felt good to get those numbers down. Update your profile pictures and information. I know I had the wrong age on my twitter feed along with a profile picture of myself with bright blonde hair - Hey I'm brunette now! On Twitter you can update your header photo. I decided to update mine to the same as my blog so everything is consistant. At the end of the day you are a brand so it's good that you ensure that everything matches. If your'e a fan of using the pinned tweet option on twitter, switch it up and choose a different pin to have at the top of your profile. Perhaps a blog post that would be helpful to others, a positive message to others, mix it up. It's time to get out your external hardrive (or buy one) and have a clear out of all the blog photos you have stored on your laptop. Not only are they taking up valuable space on your internal hardrive, they may be causing your laptop to run slowly! You can get decent sized EH on Amazon for a fairly reasonable price. You should backup everything on a regular basis anyway, so this is something worthwhile to get into the habit of doing. If you choose to keep select photos and documents on your internal hardrive, make sure you have them named and filed in a orderly manner. Create a folder specifically for your blog and then smaller sub folders to keep everything organised. It will help you in the long run when you searching for particular photos to upload to facebook or instagram! Make sure you name your images properly, rather than HGOSLHF.jpg. Google will scan your blog and discover your photos by their names. So calling it something like 'Lush Easter products.jpg' will work much better. Clear the desktop and empty the recycle bin. I'm sure I am not alone when it comes to just randomly dumping the odd document or saved image to the desktop rather than its 'proper' home on the laptop. Tidy it up a bit, organise your desktop to suit you. I always forget to empty my Recycling bin, again another thing that could cause your laptop to run slowly. So empty it! You dont need to documents in it so get rid! Finally delete any temporary internet files. This will cause your laptop to run slowly which can hinder your blogging process. To do so you need to go to your computer (In my case its the :C Drive) Open the file called Windows, then look for the Temp folder. You can then delete your temporary files. I tend to delete them so theres only a weeks worth of temp files in there. 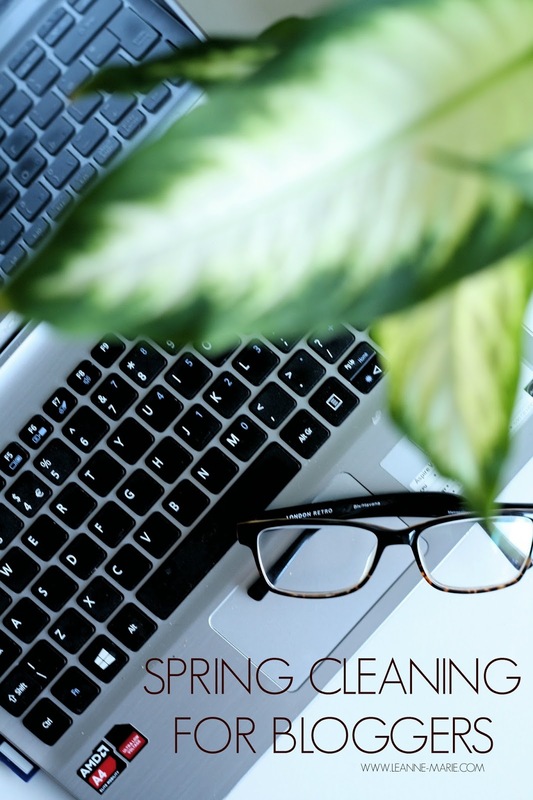 So there you have it, a few Spring Cleaning style tasks you can do that will help you as a blogger. Have you done any of this before, or are you planning to know you've read this post? 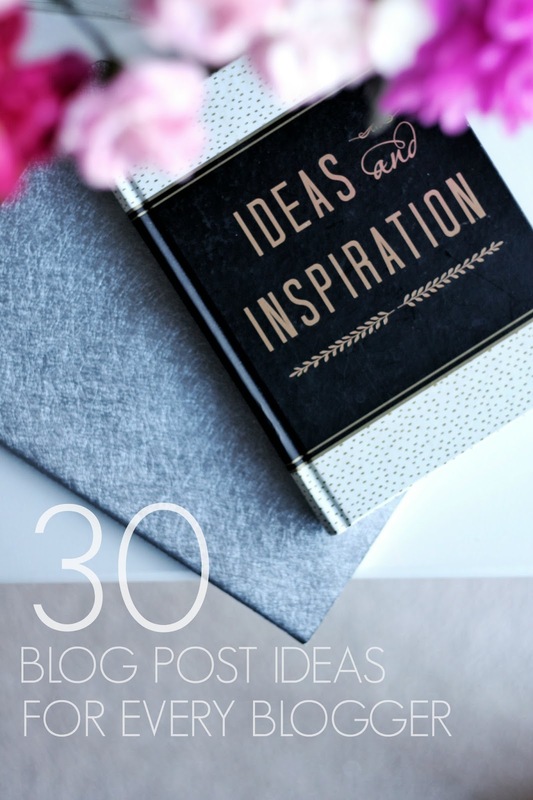 BLOGGING: 30 Blog Post Ideas for every Blogger. Regardless whether you are a beauty blogger, food blogger, parent blogger, lifestyle blogger. There are times when you can get a bit stuck for blog post ideas. I've compiled this list of post ideas that would work for a blogger within any niche. You can adapt them to suit your blog but the main idea is there for you to work from. There's enough here to get you through an entire month if you post daily (ok there aren't 31 ideas I'm letting you have a day off depending on the month). If you'd prefer you could spread them out a bit, do what works for you. 1. Blogging tips & tricks you've picked up. 3. If you do youtube share your videos, add a bit of a blurb to go alongside it. 4. Recommend others posts worth reading. 9. Share the love. Link to some bloggers you enjoy reading. 11. Where do you promote your posts? 13. The thought process of a blogger - where do your ideas come from. 14. 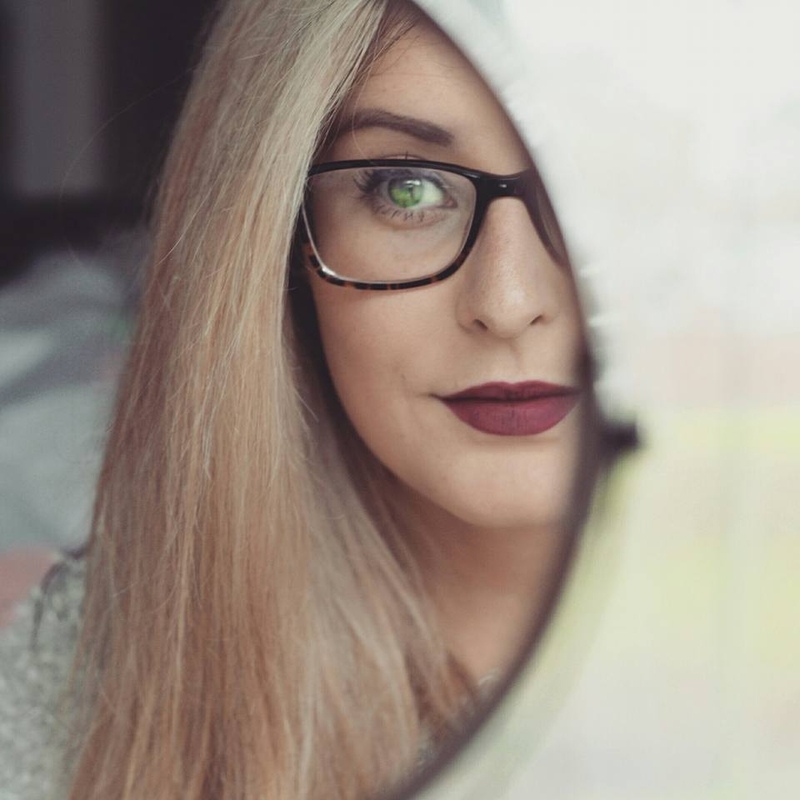 What do your friends/family think the term 'blogger/youtuber' means. 19. Websites that can help up your blogging game. 21. Which programs do you use to schedule content? 22. What inspires you as a blogger? 23. Simple SEO tricks to help better your blog. 24. Where do you see your blog in 5 years? 25. Do you make an income from your blog, would you be willing to share how you've done it? 26. How blogging fits in with your day to day schedule. 27. Tips for new bloggers - what should/shouldn't they focus on. 29. What do you enjoy most about blogging. 30. 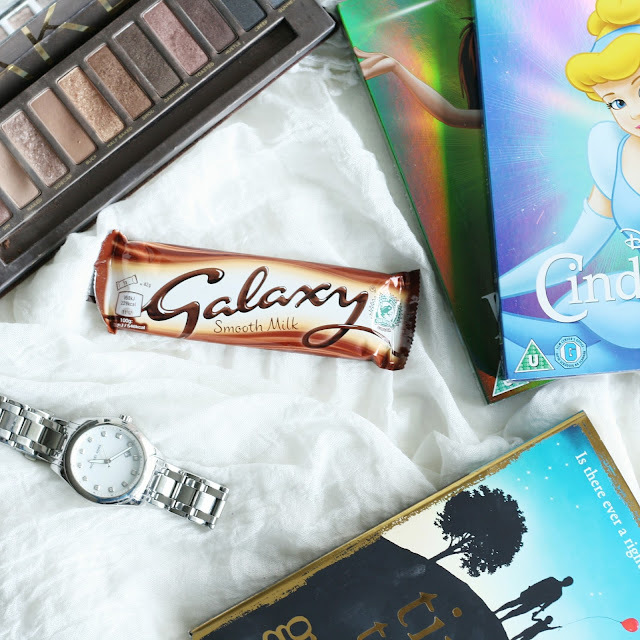 You know you're a _____ blogger when..
Hopefully these have inspired you! BEAUTY: A very pink themed Lush haul. I’ve turned into one of those people who just has to pop into Lush to ‘have a look’ if I am walking past. This happened recently I ended up walking out with a couple of things. I didn’t do crazy with the spending. I’m sure a lot of you agree that it is very easy to get carried away and end up with a basket full of delightful smelling treats, which in a way end up becoming an air freshener for your bathroom until the time comes to use them! I unintentionally went for a pink theme with this little Lush haul. Starting with the ‘Fluffy Egg’ bath bomb. Purchased mainly because a) it was one of the cheaper bath bombs and b) it smelt bloody amazing. (I tweeted about how I couldn’t stop sniffing it when I got home!) I believe that this particular bath bomb is part of their Easter range & priced at £2.95 it is I think one of the more affordable items from the collection (I mean it’s all affordable it, just in that price range where you don’t leave the shop thinking, oh gosh how much did I just spend on bath bombs?) 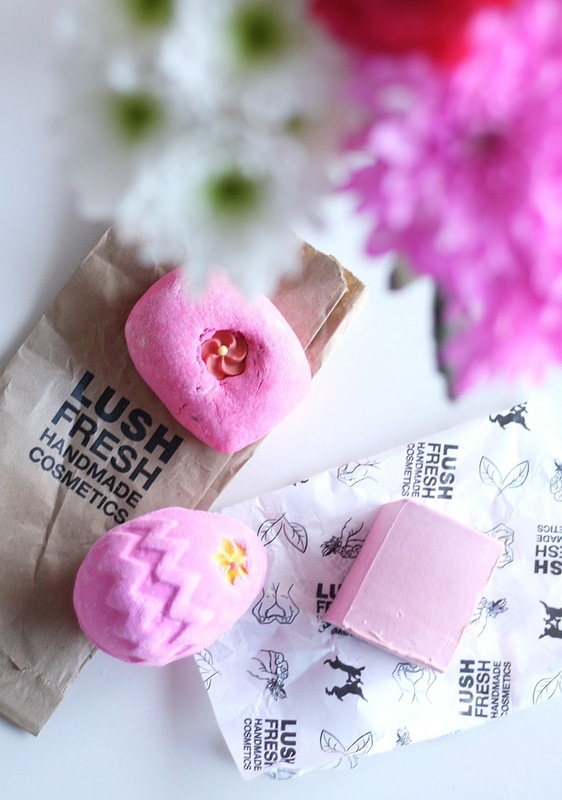 If you are fan of the sweeter, candy-like products Lush have to offer then this is for you. Like Snow Fairy at Christmas? You will love this. Your bath will turn bright pink which is always a nice pretty bonus – prefect for those bath Instagram shots. Sticking with the bath theme (and pink) I also grabbed the Creamy candy bubble bar which is part of their permanent range. Again another of the cheaper products from Lush as it is also £2.95 but unlike the bath bomb, you can make this last by using it multiple times. That’s the great thing about the bubble bars, you don’t have to use them all up at once! I usually go for the comforter bubble bar, which actually smells very similar to this one but as I still have some of that left, I decided against getting another. The Creamy Candy bar has almond and cocoa butter in it to help moisturise your skin which is a welcome added bonus. Finally I decided to pick up one of my old favourites, the Rock Star Soap. I haven’t had this in such a long time but the scent brings back multiple memories – Which I realise sounds a bit odd considering you use it in the bath/shower. But it was the soap I bought a lot when I lived in New Zealand for 3 months, and the one I also used around the time of getting married. So you can understand why! The soaps are priced by weight so this particular block of it cost me just over £4 I think. Which is a bit ridiculous when you think about how much you’d spend on a regular bar of soap but the vanilla scent is so worth it. Have you bought anything from Lush recently? I want to ‘visit’ the Lush kitchen sometime soon and purchase myself some old/discontinued products. Katy from Rotten Otter has multiple posts featuring Lush Kitchen if you are interested to know what it’s all about. You may remember I mentioned Butterfly Twists back at the very end of 2015 in my NYE Party Essentials blog post. For those of you that are unaware, Butterfly Twists are shoes that fold in half, so you can fit them easily in your bag. Perfect for those nights out where you want to wear your most glam heels but you just know come the end of the night, your feet will be screaming at you and you will want those bloody heels off your feet! Walking home/around town/to the taxi rank in bare feet is not hygienic or classy. That is where Butterfly twists come in. Get them out of your bag and pop them on your feet. If you look on their website, you will see that you can purchase a whole range of different styles. From Ballet flats, loafers, trainer-style, and even wellies! I chose the Gabrilella Loafer in the tan Dalmatian print. Being a fan of the odd leopard print style accessory I thought it would be fitting to choose something similar. The Gabriella style actually comes in 7 different patterns, just like many of the other shoe styles available on the site. You really aren’t stuck for choice when it comes to deciding on the type of shoe you would like! Butterfly twist shoes don’t arrive in a conventional rectangular shoe box, due to the fact that they can fold in half! They are presented in a neat square box, already folded up neatly inside. Within the box you also get a little silk drawstring bag. Rather than have the shoes just floating around in your handbag you can keep them together! Last thing you want is going to put them on and you find one has fallen out somewhere! This also makes it handy if you want to keep a pair in your car to change into when you go to or from work. Or you can even leave a pair at work for when the heels just get a bit too much. It’s actually a really good idea! Comfort wise, the Gabriellas are very great. The soles are padded so it makes them literally feel like slippers. Obviously providing much needed comfort after wearing heels! Sizing is true to size, you don’t need to size up or down. The smallest size is a 36 (UK Size 3) which fits me fine. My feet are pretty narrow (Probably narrower than the average person! ), so they don’t fit as snug as some promotional photos show on the inner sides of my feet. When they are on, you can slightly see where the sides are elasticated as they do not lie flat against my feet. This doesn’t mean they fall off when I walk, they are actually a nice fit. It’s just something I figured was worth mentioning in case you are quite particular how a shoe looks! Butterfly twists are a brand that offers shoes that are suitable for all budgets. You are paying for a good quality & practical shoe. So the price may in some cases come up a little higher than what you would pay for a regular shoe on the highstreet. The shoes range from £28 up to £65 being their most expensive offering. They currently have a sale on where some of the shoes are under £28, so that’s worth checking out. The Gabriella shoes were £50 which personally is more than I would typically spend on a flat shoe. I’m really impressed with the comfort and quality of them though so would be tempted to get myself another in a different size. Perhaps a pair that would be more work appropriate that I could keep at my desk for the days I want a more relaxed feel in the office! Like I mentioned previously, they have a range of flat sandals and wellies within their range. The wellies would be so perfect for any festivals coming up, because yes, they also fold up! You can never predict what the weather will be like at a festival so often I’ll take some form of trainer and wellies. Walking in wellies is tough, so if you are able to swap them for the trainers and fold them to pack away into your rucksack. Well that’s a huge plus for me! You’ve got the tent, sleeping back and the food & drink essentials to be carrying! You don’t need some wellies under your arm! Have you tried any footwear from Butterfly Twists before? Have a look on their website and let me know which style is your favourite! Now that my nails are well on their way to growing really healthy and long, I'm keen to try out a variety of different nail polish brands. When my nails are short I avoid drawing attention to them by painting them, If I do opt to put anything on them I usually opt for a clear polish or something in a very soft pink. When they are long, I'm happy to go for something bolder, obviously! I was recently sent two shades from the Mary Kay Cityscape collection. A beautiful purple shade named aptly named 'Berry Stylish' and lighter shade named 'Gallery Grey'. These are two of the shades available from the collection. They also have 'Garden Terrace' which is a dark moss green colour & Polished Pearls, which is a more silvery pearl shade as the name suggests! These Mary Kay lacquers retail for £9 each, which a little on the pricier side, compared to some of the other brands available on the market, but I think it's worth it due to their pigmentation, glossiness and longevity. If you apply them in thin coats and have the addition of a good quality top coat the polishes can last up to 3/4 days without chipping which I think is really good compared to others I've tried. Had you heard of this brand before? Would you try the lacquers? Again, without waiting to finish my previous TBR pile, I've created a new one. However this time around I purchased all the books from a charity shop. Therefore, it was a good deed and I cannot feel guilty about doing it! I don't tend to re read books and I don't actually have a book shelf in my home. Therefore I often choose to pass on my reads when I've finished to friends, family, colleagues or to the charity shops. For this reason I don't like to spend too much on them. This is also why I only really get books on my kindle for when I have holidays booked. (It's just more convenient luggage wise). I like to read but I don't like to spend money! I digress, I went into a charity shop and saw a few books I'd been thinking about reading for a while. At 95p each I couldn't say no & I swiftly purchased them. I've watched the movie of this, but I cannot remember it, but I do remember people saying I should read the book as it's amazing. So when I saw it for a mere 95p I bought it. A member of the Vanger family goes missing. The body never found, but the uncle is convinced that it was murder. 40 years later he hires a journalist & hacker to help him look deeper into the case. As they get deeper and deeper into the investigation they discover that there's more than meets the eye with the Vanger clan, & they reveal deep dark secrets held by the family. Of course families are close so when someone looks to sabotage or reveal something they don't want revealing they'll be less than happy. Blomkvist (the journalist) and Salander (the hacker) will have to protect themselves from what is yet to come! It sounds like it will be a very action packed book, full of twists and turns. I love a good crime book so it's right up my street. There are other books in the series, so if I enjoy it, I know there are others I can also get to grips with at a later date! Again when a book gets turned into a film then it must be good! Based around the time of Nazi Germany in 1939 this book tells the story of 9 year old Liesel, a book theif. Liesel is living with a foster family has her parents have been sent away to a concentration camp. This book tells her story and those that live nearby when the bombs start to fall around them. I've never really delved into any sort of historical reading like this so I am very keen to get stuck in. The one feature that does intrigue me, is the blurb states that death will visit 3 times and the novel is narrated by death. Sounds a bit morbid, but I'm willing to give it a go! I added this particular book to my Good Reads to be read list a while ago after seeing it on various best sellers lists. I was pretty pleased to find it in the charity shop in excellent condition so of course I bought it! All the Light we cannot see I believe is set during World War 2, & tells the story of Marie-Laure, a blind girl who meets a German Orphan boy named Werner & they both try to survive the war as their lives collide. It's a hard book to explain really! Like I said I wanted to read it because it was classed as a best seller. Similar to The Book Thief, the style isn't something I have really read before. I want to challenge myself with a little bit more of historical style reading for a bit of a change! This is the same author who wrote Still Alice which I spoke about previously in this blog post. I didn't plan on reading another book by her, however because I enjoyed Still Alice, I figured why not! Left neglected tells the story of Sarah, a extremely busy, hardworking Mum who multitasks like mad both at home and in the workplace. Unfortuntely Sarah ends up in a car accident which results in damage to her brain and Sarah discovers she has Left Neglect. To her, left does not exsist. She cannot use her left side of her body, she doesn't realise she has a left hand/leg, when she looks around the room, to her the right hand side is the entire room, there isn't anything else in there. As you can imagine, for a workaholic like Sarah this is not good, she needs to return to work stat! The company needs her! How will she adapt to these new changes, will 'the left' ever come back to her? Could you imagine your confusion if you were convinced what you saw was all there was to see, but really there was more than meets the eye? I wanted to get a classic, easy reading chick lit book to break up the more serious books I'd purchased so that was where this one came in. I believe that this is your typical chick lit style story line, where a group of friends, all with different things going on with their lives find themselves tested to their limits, so they decide it's time to make a change and re think the way they go about things. Gemma, Cailtin & Saffron vow to make this one of the best years of their lives, despite having to do things a little differently. I have to admit I was quite drawn into the cover of the book too (I am someone who judges books by their covers!) I don't think I've read anything by Lucy Diamond before so I'm open to trying a new chick lit author! I'm going to be good and not purchase anymore books until I've made my way through these and the ones I have left from my previous TBR post! I'm not going to be putting a time limit to finish them by because that will just stress me out. 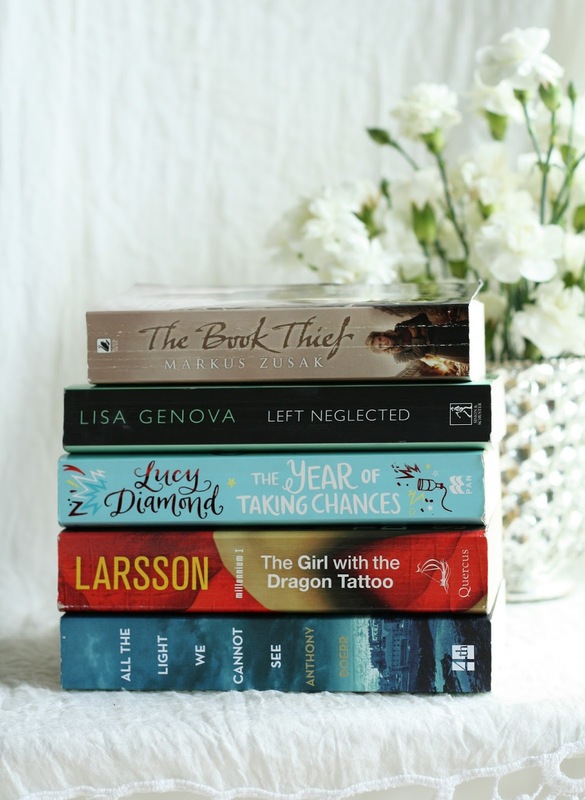 They will all be contributing to my 30 book reading challenge for 2016 though! BEAUTY: Nail HQ Treatments to improve the condition of your nails. I don’t know about you, but if my nails are looking nice I feel a little more put together. My nails haven’t always been in the best condition due to being an occasional nail biter, therefore initially to combat this I recently started taking Biotin tablets. I have a TERRIBLE diet – (Read that as I only eat beige food & no fruit or vegetables are consumed at all… NONE) Therefore I am obviously lacking some vital vitamins. After a recent comment made my by hairdresser that my hair was getting thinner on one side of my head I wanted to prevent it! After some research I decided on taking Biotin tablets, these will help my hair but are also important vitamins for both your hair and nails! In addition to taking the tablets I was recently sent a selection of products from Nail HQ. They have a wide selection of nail treatments to help get your nails in tip top condition, aiding them in becoming nourished, strong and glossy! I believe there are 9 different treatments that Nail HQ offer. I was sent a selection of 4. For those of you that already have decent nails you may not be too interested in the specific treatments, however they do have standard nail care items like, cuticle oil, a top coat and a base coat. The base coat is rubberised in order for the coloured nail polish of your choice to adhere to the nail smoothly. Using a base coat is pretty important as it reduces the chance of your nails staining or discolouration, if you are something that constantly has their nails painted or uses quite bold colours you may know what I mean by these! If not, just use a base coat! Prevention is key! You may be someone who can grow their nails well, but suffer because they are weak therefore break easily. If this is a problem for you then it is worth trying a nail hardener. This mineral enriched formula that Nail HQ offers will help toughen up your nails making them less prone to bending and breaking. This clear treatment can be worn on its own or underneath a coloured polish. If your nails are quite brittle and tend to flake, this would be also be a good product to use to combat it. If you would prefer, you could use a nail strengthener. This one from Nail HQ is an intensive strengthening treatment specifically for those with weaker nails. The benefit of using one of these products if your nails are weak is that once you combat the issue you’ll find your nails will grow much better as you diminish the chance of breakage. Perhaps if you really dislike the way your natural nails look, you opt for gels or acrylics, I’ve never personally had them but I can understand why you would get them. Yes they do look pretty but unfortunately if you are someone that gets their nails done often, it’s probably a good idea to take a break from them every now and again. This is the appropriate time to give them some TLC. 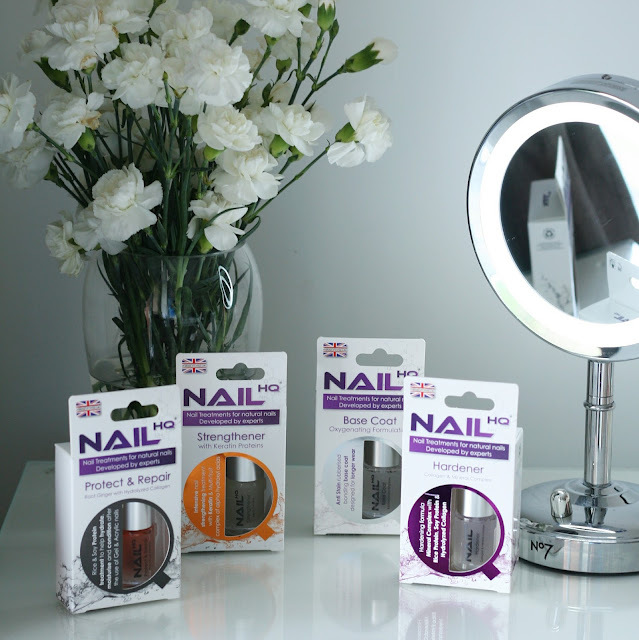 Nail HQ offer a Protect & Repair treatment which help hydrate, moisturise and condition your nails. Unlike the other treatments, this is one that you reapply over existing coats for 5 days then remove. 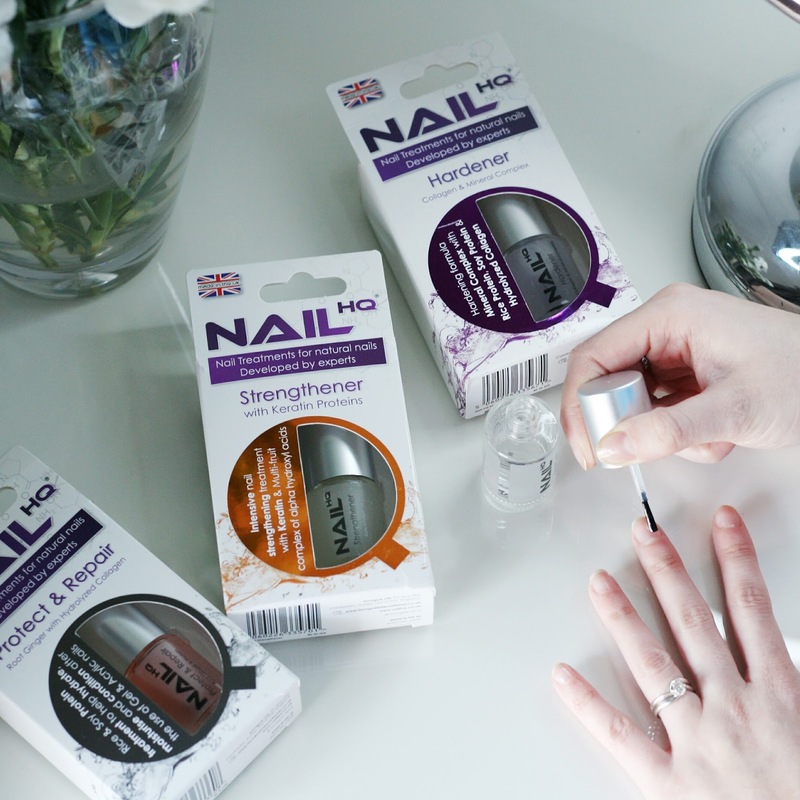 Nail HQ Products are available from various different stocklists including Superdrug, Amazon and Fragrance Direct. Retailing between £5.99 and £7.99 they are extremely affordable and easily accessable. I hate it when you find a nice treatment but it costs the earth or isn’t stocked in a variety of places! These products couldn’t have arrived at more of a perfect time. Like I said combined with the biotin tablets I am taking, hopefully I will be on track to beautiful, strong nails which I can paint with all sorts of designs. Maybe I’ll even apply my no mess marble nail art technique to them again! I haven’t done that in a while! Do you use any treatments to keep your nails in tip top condition? If you are looking for treatments to improve the condition of your nails they are definitely worth checking out. LIFE: The best of February 2016. - Rediscovering my Naked palette. I used this palette everyday in February. I forgot how great the shades were, I even hit pan on 'Virgin!' I'm favouring the mattes over the shimmers though! - Going to Comedy shows. We attended our 1st Jongleurs show in our hometown this month & I really enjoyed it. I have a feeling this may turn into a monthly habit of ours. - February was about eating far too much chocolate (Why do Terrys Chocolate oranges go on offer) and not going to the gym enough! - I'm do better in March I promise. - Finding my Michael Kors watch again after assuming I'd left it in our old flat when we moved! - I started a bit of a declutter in order to get more organised and earn a bit of extra cash. If it's something you are interested in doing too, take a look at my post 3 ways to make extra money online from earlier in the month. - For some reason Reading wasn't high priority this month, so I only managed one book. I probably need to take a bit of my own advice from my blog post ' How to make a habit of reading on a regular basis'. Hopeflly I can improve in March! - Deciding that I need to start a Mulberry fund after falling in love with the Small Alice zipped tote! - Starting my Disney DVD collection by purchasing the Jungle Book and Cinderella. Buy one get one free in Tesco! - Getting stuck in to using Stumbleupon to share my own posts and others that I enjoy with the world! Definitely worth checking out to reach to a wider audience and improve blog traffic! Follow me on Stumbleupon here.